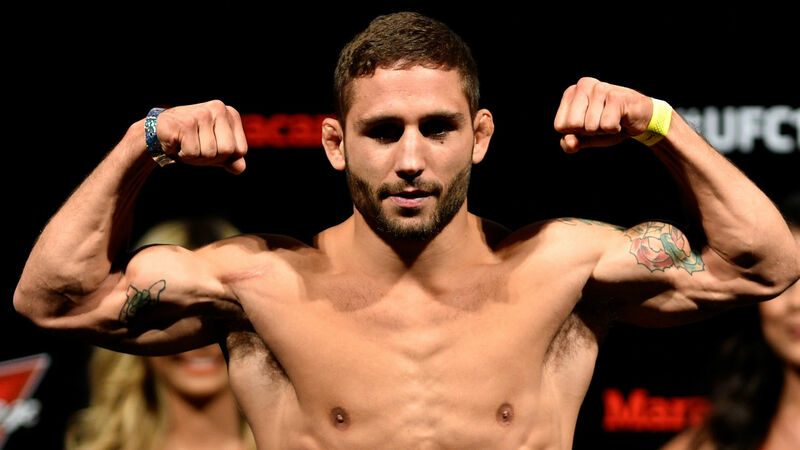 After his knockout loss to Frankie Edgar at “The Ultimate Fighter Finale” in December 2015, Chad Mendes knew he needed a break from MMA. He had lost three of his last four fights, with two of those coming in title fights against Jose Aldo and Conor McGregor, respectively, and the Edgar fight. Mendes planned on taking a year off to recharge his batteries considering that he had been competing in sports his entire life and wanted to see what life was like outside of competition. In June 2016, Mendes was informed that he had tested positive for the growth hormone Hexapeptide and was given a two-year suspension by U.S. Anti-Doping Agency. Mendes said the substance was from a cream he used to take care of psoriasis. With the suspension behind him, the 33-year-old can now come back to work. In front of him this weekend is a featherweight tilt against Myles Jury on the main card of Saturday’s UFC Fight Night. “For me, it was actually pretty enjoyable (time away),” Mendes told Sporting News. “That was the first time in about 25 years that I got to take time away from competing, redlining my body and going through the grind. I started swimming before I got into wrestling at, like, 4 years old, then I wrestled from, like, 5 years old through college, graduated, and then the next day I headed to Sacramento to begin professional training. Naturally, there comes a point you start to miss what you to love to do after doing it for so long, and in that sense Mendes wasn’t any different. Mendes accepted fault and took his suspension on the chin. Whenever an athlete fails a drug test, everyone assumes they have always cheated and say that person has gotten to that point of their career because of performance-enhancing drugs. More often than not, reputations are tarnished forever regardless of how often the athletes apologize and even if they achieve higher success. A lot has changed in the division while the former three-time title challenger was away. Jose Aldo is gone from the title picture and new contenders Brian Ortega and Jeremy Stephens have arisen. Max Holloway is the champion and was scheduled to make his second title defense against Ortega at last Saturday’s UFC 226, but Holloway had to be pulled because he was suffering from concussion-like symptoms. Ortega didn’t accept an interim title fight with Stephens and was pulled from the card as well. “I hope Max is OK, as he’s a great guy and such a positive role model for the sport,” Mendes said. “(UFC president) Dana (White) says he isn’t going to be fighting for a while, so I hope he will be OK. He’s a huge featherweight who cuts a lot of weight. I saw something about water poisoning and water-loading, but ultimately that comes down to him cutting too much weight. I don’t know if that means he will have to come down to 155 (pounds) or not. Mendes’ road to another championship opportunity in the talent-rich division begins with the No. 12-ranked Jury. VIDEO: Did Steven Adams Kick Bradley Beal in the Groin On Objective?